Verywestham: Jenkinson Dreaming of European Nights at Upton Park? 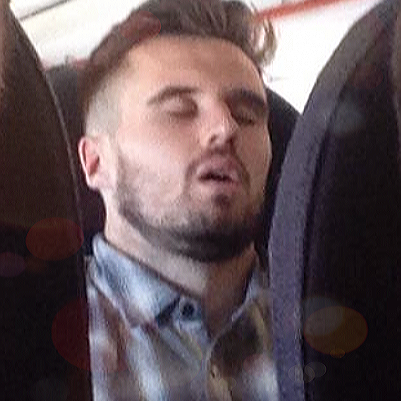 Jenkinson Dreaming of European Nights at Upton Park? ...It's Jenkinson, he's still going, he's through on goal...yesssssss! At least one player isn't losing any sleep over the management issue at West Ham! Pictured here heading off on his holidays to Greece, Carl Jenkinson has had a terrific season at right back but now his future is unclear as his loan period has ended and he may be returning to Arsenal. However, with opportunities still likely to be limited at the Emirates, West ham fans will be hoping that we can capture him for at least another season on loan and maybe a permanent move can be arranged. Although West ham's season ended poorly, it is worth noting that with the emergence of Aaron Cresswell, Diafra Sakho, Cheik Kouyate and young Reece Burke, the team have grown in stature with much to look forward to for the incoming manager. Capturing Jenks would be a perfect start to the next campaign but Arsenal are hanging tough for any transfer deal with a transfer fee of around £10 million being cited for the sleepy one. Is Jenkinson worth that much? What do you think?